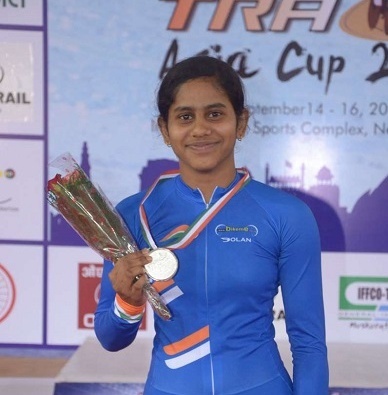 Aleena Reji from Andamans wins India two bronze medals in the world cup. Cycling at the commonwealth games is a whole different ball game. Because the track includes veteran contestants from France, Olympic and world champions from England, Australia and so on. But with people like Aleena Reji and Deborah Herold, India stands a good chance at excelling on these tracks. 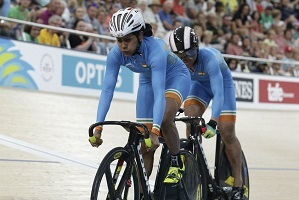 India did surprisingly well in the Asian Track Cycling Championships that were held in Nilai, Malaysia. The Indian duo of Reji and Herold had earlier obtained enough points to qualify for the Track Asia Cup and though India’s best-known and best-placed cyclist, Deborah missed out on the podium finish, Aleena was there to save the day. 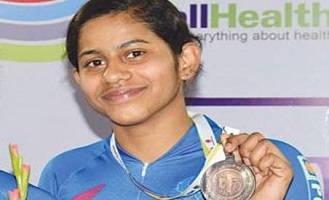 She finished third and bagged two bronze medals for India. Reji won her second medal in a national record time and emerged as one of India’s top star performers. Aleena won the bronze in the junior women 500m trial event after clocking 37.439 seconds, adding to her first medal which she had claimed as her own in the team sprint on the first day of the championships that were held at the Indira Gandhi Indoor Stadium. In her journey to victory, she broke her own national record in the junior 500m track of 37.80 seconds. She rode India to her victory and the ninth spot in the medal tally. Aleena’s efforts paid off in the least expected way. She wasn’t expecting such a victory but she is ever so stunned to have brought such pride to her nation. She had previously won a silver medal in the Track Asia Cup that was held in 2016 but this one had been a bigger event and she never thought it in her stars to have achieved such a feat. Reji who is 18 years old and from Kerala has won a silver in the 500m track and a bronze. The duo’s coach R K Sharma stands proud of their achievement. “My wards are doing well, we started from juniors and achieved the milestones. Now, they are graduating to seniors, we set the targets and are achieving them one by one,” he goes to say. The Track Championships are just a start for the budding cyclist Aleena. She has a long way to go from here and has many laurels to win for her country. At the rate she is going, it is very likely she’s going to succeed and make us all proud.